Believing He-Man and the Masters of the Universe defeated, a robotic impostor has seized control of Eternia – but not for long! After freeing his kingdom from this strongman’s rule, Prince Adam learns not everyone is pleased to see the pretender deposed – but Adam knows the value of freedom. So when heroes from another dimension ask his aid in deposing a super-hero turned dictator, he agrees. 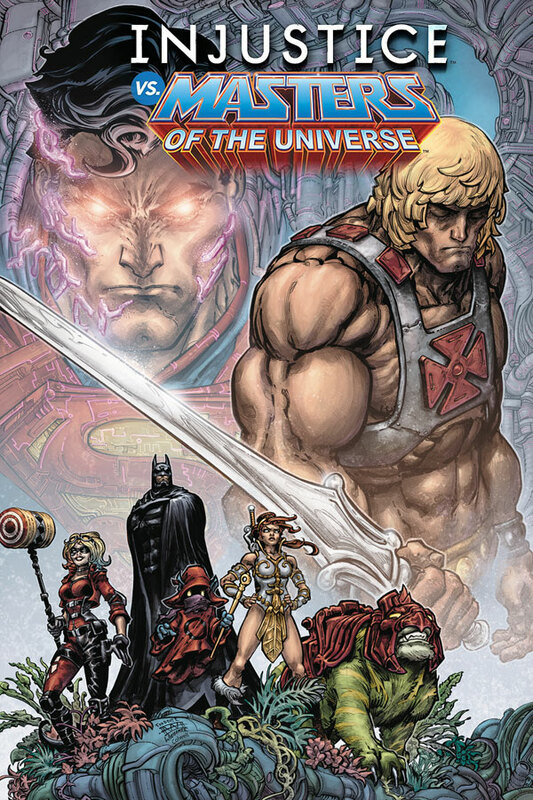 Teaming up with Batman against the Superman of the Injustice Universe, He-Man and his new allies face dangerous and familiar enemies in a battle where no world is safe!